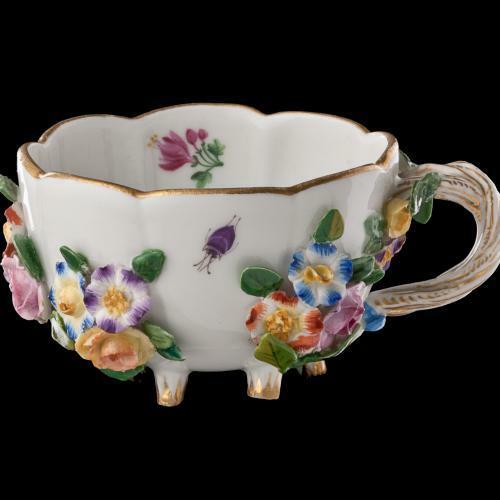 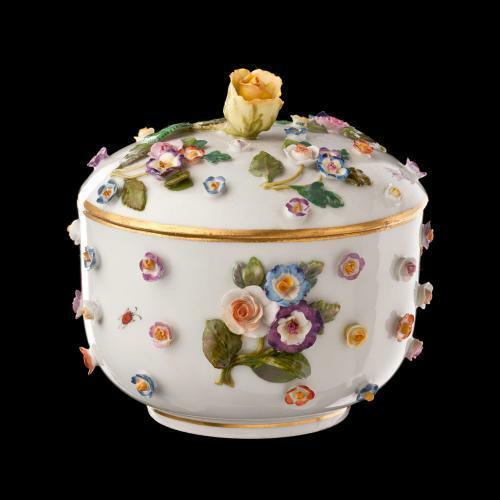 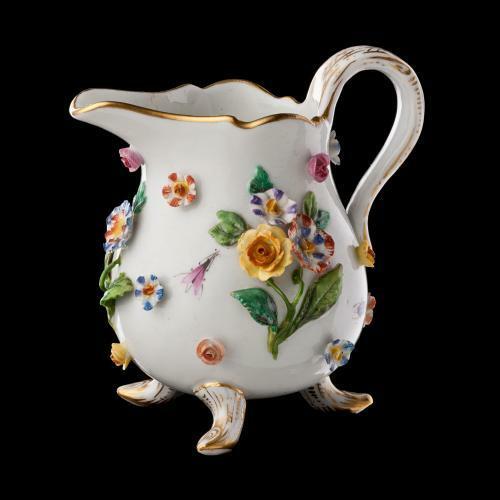 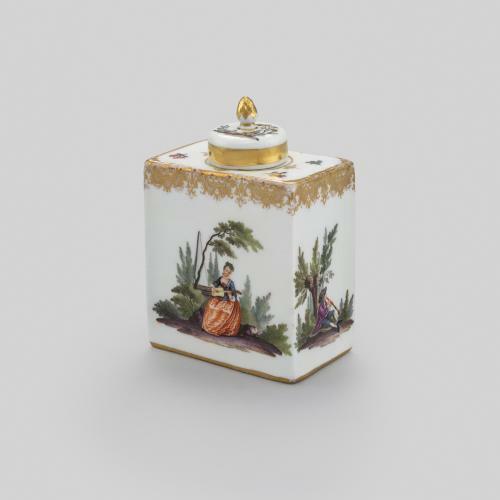 In around 1735 Johann Joachim Kändler, one of the most notable craftsmen at the Meissen manufactory, began encrusting porcelain wares with raised leaves, flowers and insects. 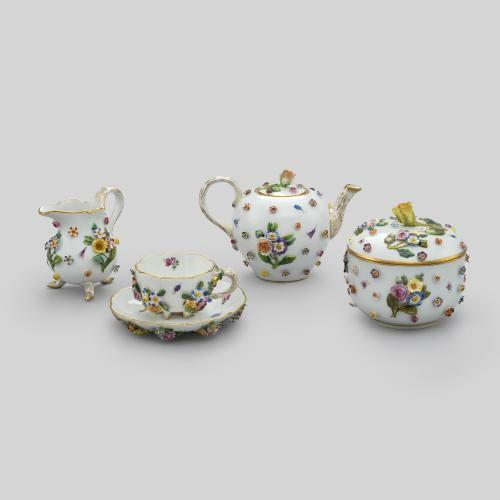 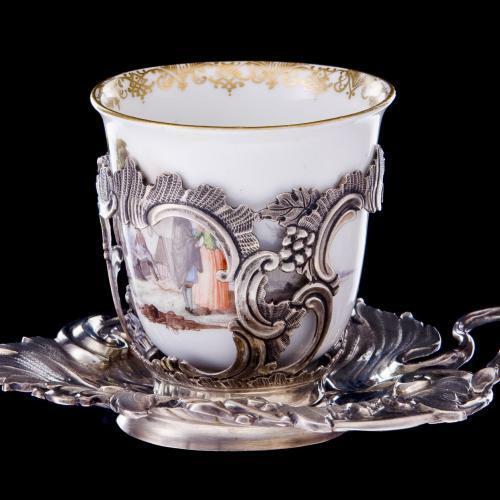 Later in the 19th century, when this tea set was made, his technique was being revisited by the artisans of the factory with great success. 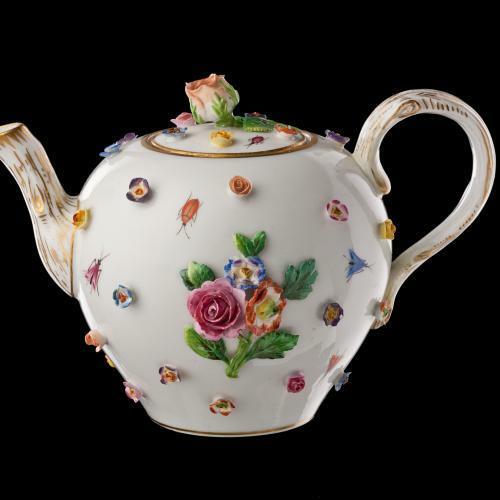 The teapot is a particularly rare example of this type of work and has been applied with colourful flower sprays and minute flowerheads.